Drake Releases New Merch Collection for Aubrey and The Three Migos Tour - Pop It Records - NEW MUSIC EVERYDAY! Drake and the Migos finally kicked off the Aubrey and the Three Migos Tour after a pair of delays thanks to "production issues" on Sunday. The trek started in Kansas City, Missouri, and the fans came out in droves to the sold-out Sprint Center. 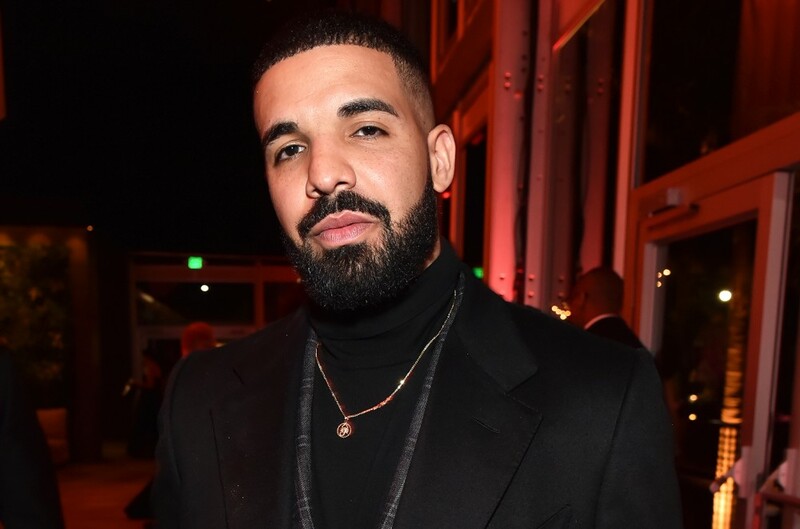 Coinciding with hitting the road in support of his Scorpion album, Drizzy released an extensive merchandise collection, available online and at every tour stop. The 21-piece collection includes a range of Scorpion-themed items such as an array of emblazoned T-shirts, long-sleeves, hoodies, sweatpants and dad caps. Most products range in size from small to XXL. A couple of graphic tees or a hat could be the product of choice for the frugal OVO fan looking to purchase something to commemorate their tour experience starting at $30. On the upscale side, screen-printed hoodies are priced at $120 for the Drake fanatic in your life who wants to break the bank this summer. It was an eventful opening night on tour, as the 6 God's energetic set saw him covering Michael Jackson, performing "Versace" live with the ATL trio for the first time, bringing a random fan onstage to win $1,750 by making a free throw and more, with a yellow Ferrari soaring over the fascinated crowd. Prior to the show, the "In My Feelings" artist lost a shooting competition to Quavo for $10,000, and the OVO rapper's loss was caught on film. Check out some of the items from the collection below. Shop the official merchandise at Drake's online store.